The rocker knife cuts with a minimum of motion. 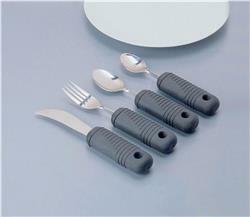 They have comfortable rubber built-up handles and stainless steel utensils. Dishwasher safe up to 125 F (52°C).